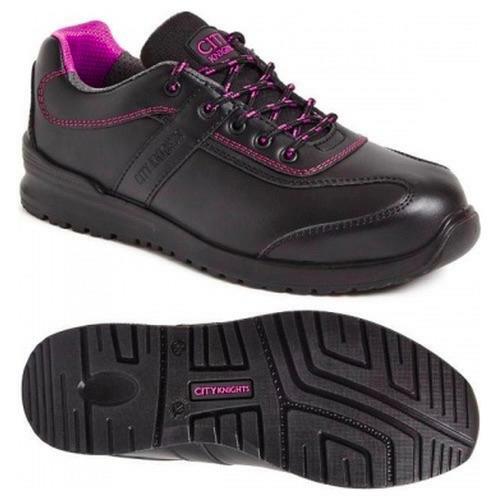 Black smooth leather safety shoe. Padded collar for added comfort. Composite toe cap and composite midsole protection. Moisture wicking inner lining. Dual density polyurethane outsole. Comfort Insole. Anti-static. 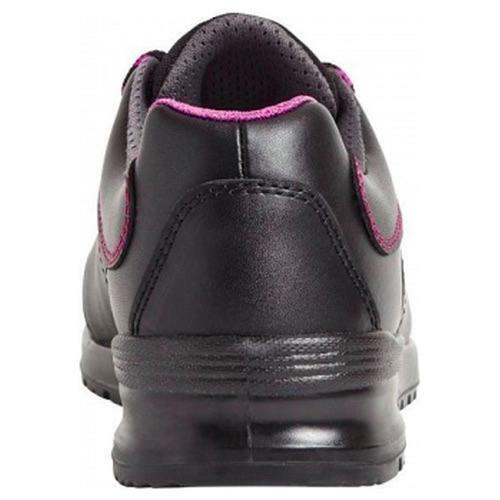 A lightweight ladies style uniform shoe for lighter duties.